Bowling Break-In, originally uploaded by Xenoc. Chris and I went bowling last night, as we so often do. I bowled 130, 155, 145, 152, not quite reaching my 160 goal this week. Chris, on the otherhand had 5 strikes in a row one game, coming in at 168. 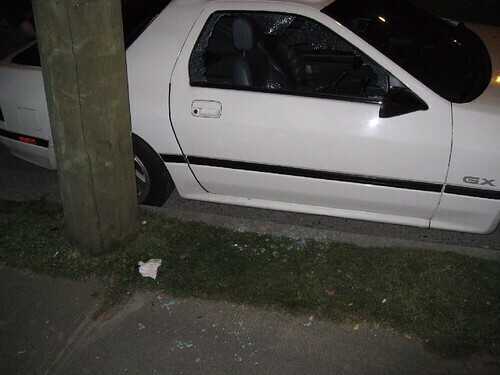 Unfortunately, when we got back to his car, we found that someone had smashed the window and stolen his bazooka tube subwoofer. Bummer.